What is the employee ID for? 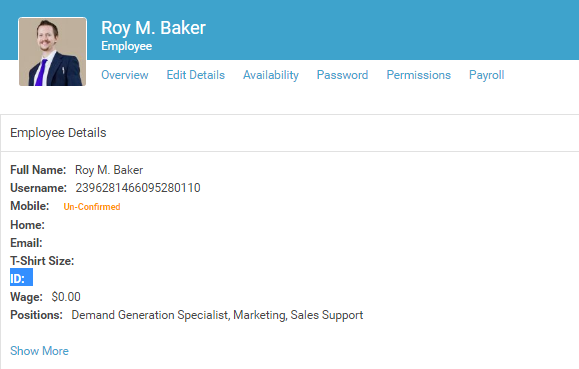 This field is used for improved integration with payroll and other 3rd party applications. In order for the Payroll Provider Exports to export correctly, all of your staff members need 'Employee IDs' first. If your payroll provider already has their own 'Employee IDs' then we recommend that you use those in ShiftPlanning.